Host Christopher Panks is joined by Ron Smith – Editor of TheWashbag.com – and Sam Morshead – chief sports writer at the Swindon Advertiser. After one of the most turbulent weeks at the County Ground, the three reflect on the ramifications of the impending takeover by Jed McCrory’s consortium, the fire-sale of Matt Ritchie’s transfer to AFC Bournemouth and Paolo Di Canio’s future at STFC. We answer your questions, including the reasons why Andrew Black is seeking new investment; who is Jed McCrory; why the prospective new owners are keeping their silence; how essential was it to sell Matt Ritchie to stave off administration; and when will the takeover be formalised. 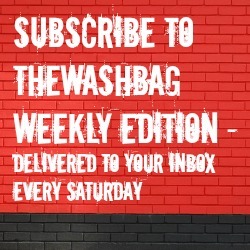 You can contact us by emailing podcast[at]thewashbag[dot]com. Thanks for the podcast very informative, all town supporters should listen to the discussion to get a clearer understanding of the current situation at the club. Look forward to s satisfactory outcome for the future of the club next week.